Presently we are on tour in the southeast. 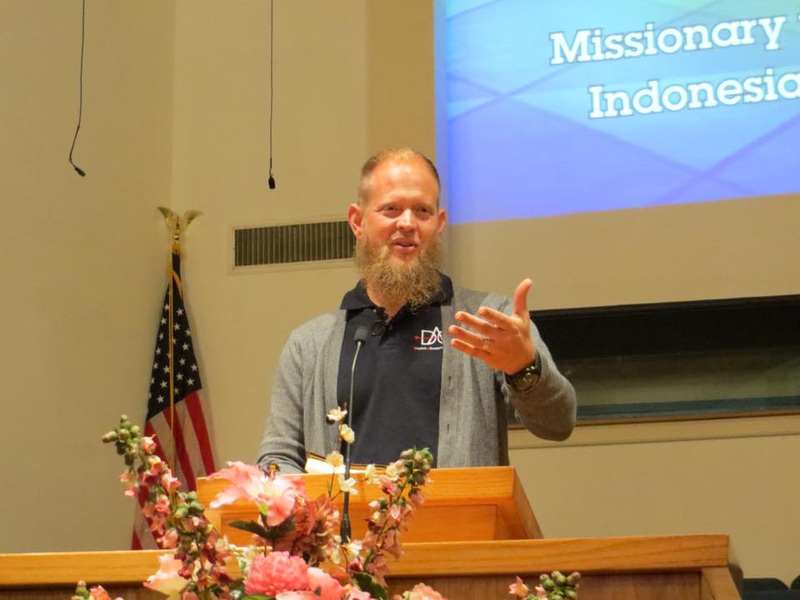 We take every opportunity we can get to brag on our King and about the exciting things God is doing in the jungles of the Dao tribe of Indonesia and around the world. It has been such a wonderful privilege to go around and share about the real and vibrant change that God is making in the Dao tribe. Our first two weeks of meetings in Mississippi and Florida have been wonderful and it has been our joy to see people get excited about the cool things that God is doing. We have many more locations that we will be sharing at during the rest of this southeast tour. If your anywhere close by why don’t you come on out and listen to us brag a little bit on our King? Rejoice with us as we reflect on what He has done! And aspire together with us to be a part of the awesome things we are praying He will do in 2016! Pray for our family and DAO Ministries, that the Lord would continue to grow our vision for seeing the Dao people brought to full spiritual maturity in every last village. Pray for us as we continue to translate for the Dao people and seek new ways to see even farther out dialects reached with the gospel of Jesus Christ. Pray for one of our partner organizations, HFA (Hope From Above) as they seek new ways to get Gods word into the many closed and isolated countries that are still waiting for their first opportunity to hear about their Creator and His son Jesus. Pray for us as we speak at churches in Tennessee, Georgia, Mississippi, and Florida, that God will greatly use these speaking opportunities to raise up more prayer warriors, missionaries and supporters for the amazing work God is doing in the Dao Tribe and around the world! Please pray for the Dao people. Pray for their continued growth and many continued outreaches in different villages that are being carried out by the Dao teachers we have been training.